The Florida Department of Health confirmed a second case of measles in an unvaccinated child in St. Lucie County on Friday. This brings the total number of measles cases between St. Lucie and Indian River counties to five. Altogether, there have been six cases of measles discovered within 50 miles of Brevard County in the last two months. The first case was discovered in March in Osceola County. Two more cases were confirmed on April 18th in Indian River County. A fourth was discovered in an unvaccinated six-year-old child in St. Lucie County last week. The fifth case was confirmed in an adolescent in Indian River County on April 21st. The Florida Department of Health said in a release that the latest confirmed case in St. Lucie County was locally acquired and was isolated as a precaution. Health officials say that this case poses no additional risk of exposure to the community. Measles was declared eliminated in the United States in 2000 because of the high population immunity achieved by high 2-dose measles vaccine coverage and a highly effective measles vaccine. 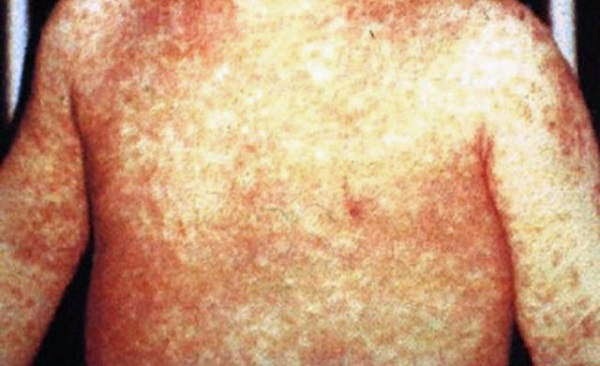 Officials say that measles is very rare in countries and regions of the world that are able to keep vaccination coverage high. There are still sporadic cases of measles in the United States because visitors from other countries or U.S. citizens traveling abroad can become infected before or during travel and spread the infection to unvaccinated or unprotected persons. "We applaud all who have gotten vaccinated or confirmed their immunity in light of the unfortunate cases of measles in Florida this year", said State Surgeon General and Secretary of Health Dr. John Armstrong. "Vaccination remains the best way for Floridians and visitors to protect their children, themselves and their communities from what is ultimately a serious yet preventable illness."